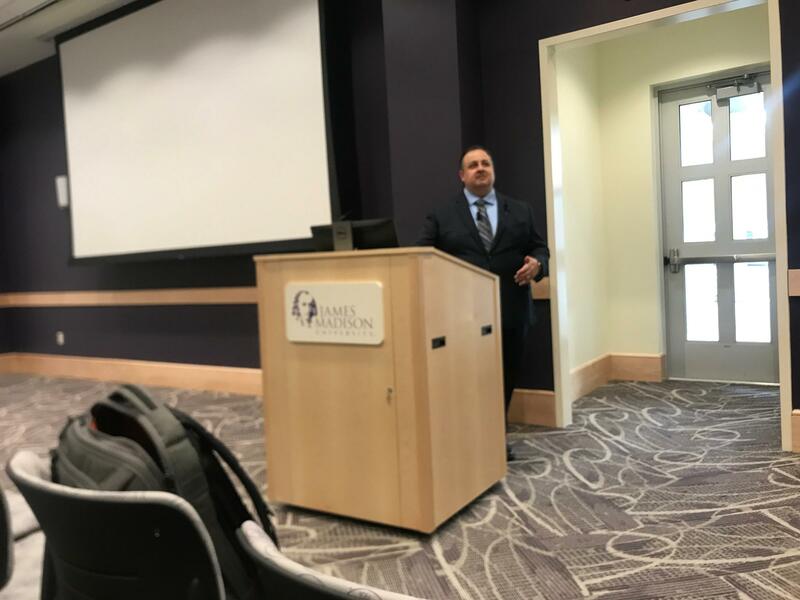 Walter Shaub Jr., Barack Obama's Former Director of the U.S. Office of Government Ethics, talks about ethics in Washington today. Walter Shaub Jr. served in the U.S. Office of Government Ethics under the Bush administration before becoming the department’s head under Barack Obama. Last night he returned to his alma mater to talk about ethics in Washington and how he believes it has gone astray during Donald Trump’s presidency. WALTER SHAUB JR.: The phrase has always meant get rid of corruption. Drain the government of corruption. He’s sort of twisted that phrase to mean get rid of people who don’t agree with me. Shaub blamed what he sees as increased polarization in the U.S. for a lack of accountability for the president. SHAUB: Our country has become so polarized that they just don’t care when it’s their own guy and not the other person behaving a certain way. Shaub now works as a senior adviser for Citizens for Responsibility and Ethics in Washington, or CREW, a nonprofit group working to reduce the influence of money and restore ethics to Washington. Shaub's policy council Gabe Lezra said that although CREW works at the federal level ethical accountability is also important at the local and state level. GABE LEZRA: I think people have lost faith in government generally. And if they can see their local and state governments operating appropriately and ethically and accountably, then they’ll believe that their federal government should be doing the same as well.